We're noticing in this world of TV shows with super tricked out websites and insanely creative promotions, that the marketing for many series continues long after it goes on summer hiatus. Community is still making viral videos, Glee's site is still a destination for fans to put themselves into photos with the cast, and viewers can still read Pawnees' newsletter for the Parks and Recreation department. 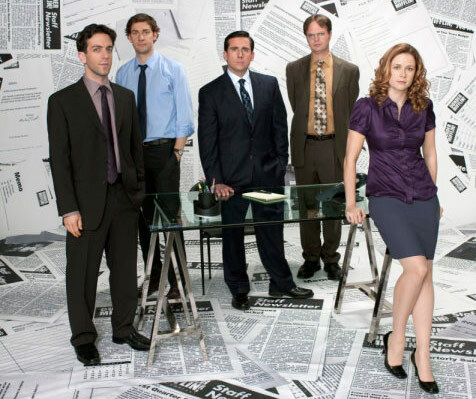 But perhaps the most ambitious promotion for a show in summer re-runs is The Office 's fanisode. They have taken the episode called "Murder," chopped it into 86 segments, and are asking fans to make their own version of the scenes. Once all the snippets are submitted they will choose the best of the bunch and re-assemble into a fanisode. Act now by going to the website. There are only a few scenes left. But if you miss out on the chance to partake in the creative process, be sure to check back. You can still vote for your favorites and see then end result in a few weeks. It should prove to be an interesting outcome.